Did you always want a mustache but growing one seemed like a real hassle? 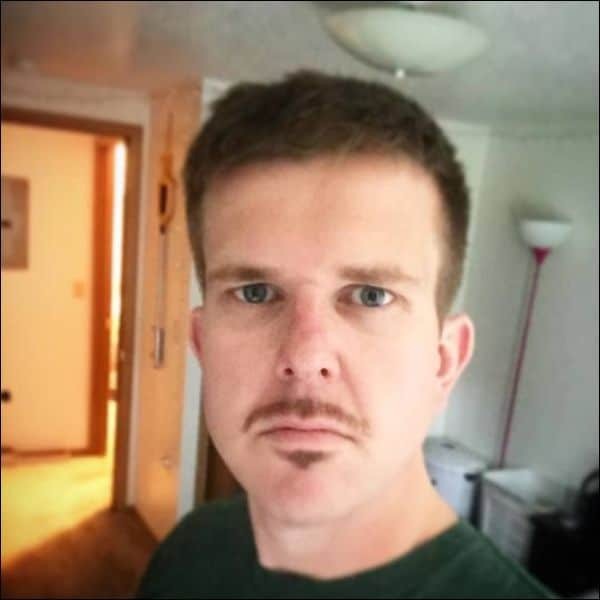 Consider getting a pencil thin mustache that is easy to make and simple to maintain. Such mustache is usually located just above your upper lip and is made to be about a quarter to half an inch thin. The shape is created by using a trimmer and a razor blade. It might require some practice but most men do just fine without any help. Pencil mustaches are popular nowadays and will make you look very stylish. Start out by growing a full mustache and go further by shaping it with the scissors and a trimmer. The mustache should look as if a thin line was drawn by a pencil. That’s where the name comes from. Knowing how to make a really stylish mustache is a real art. If you are not afraid of some challenges, we would recommend trying to make a pencil thin mustache. This mustache looks very fashionable and doesn’t take too much effort to create. The length of the pencil mustache varies. It can run from one corner of your mouth to the other or stop where your nose ends. All depends on your face type. Start with the longest mustache and go from there. You will soon find out which one suits you the best. The pencil mustache should be taken care of on the daily basis. Otherwise, it will soon lose its charm. This option is great for men with thin lips. The mustache will be outlining your lips to make them seem fuller. The length of the mustache can vary but the longer it is, the better it will look. Make it at least as long as the lip line. If you are not sure you can make a pencil mustache, opt for a thicker option. Allow the mustache line to be about an inch thick. Create a middle part for a special zest. You will need to trim your mustache on a regular basis and shave the rest of the facial hair daily. Your mustache doesn’t have to be all the same size. If you opted for a long mustache then you can make the middle part thicker than the ends. Such mustache is easier to create and will make a great impression. The thin tips should be created beyond the lip line. Making a pencil thin mustache with a middle part is a real art. You can learn to make this mustache on your own. However, when you are just starting out, get some professional assistance. You might make a few mistakes at first but soon you will become a real expert. The main goal of the pencil thin mustache is to look like a real pencil line. 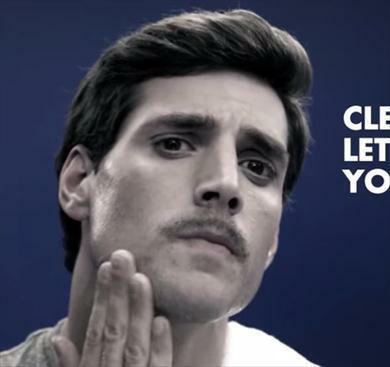 Try to keep the mustache as thin and as neat as possible. The thinner it is, the better it will look. Practice your trimming skills as often as you can. 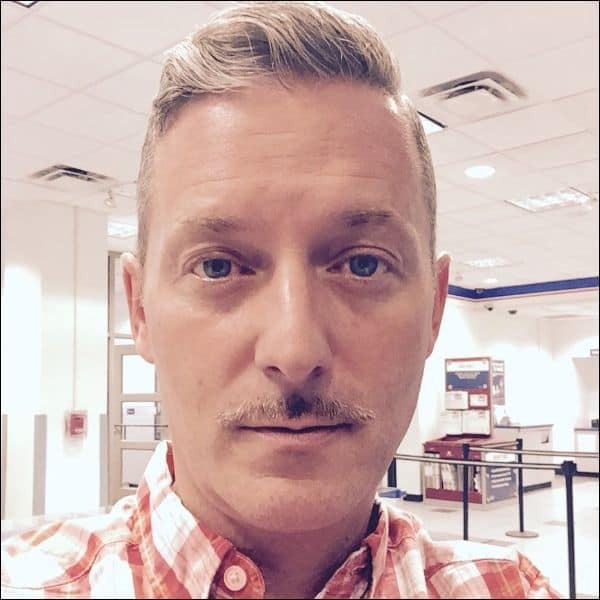 This mustache is a mix between pencil thin and Hitler mustache. It is quite hard to create if you don’t have any mustache trimming experience. Ask your barber to show you how to go about it. The result will exceed all your expectations! Pencil thin mustache doesn’t have to be absolutely clean cut. You can leave some stubble around it to make it appear a little messy. This is a modern way to go about the old school pencil mustache. It will appeal to the younger generation. Not all mustaches have to be absolutely straight. You can go further by making the ends hang a little low. This will give your image a little more uniqueness. Just don’t forget to shave the rest of the hair around the mustache. If you would like your pencil thin mustache to look modern, consider making it in the middle between the tip of the nose and the upper lip. Make it as thin as you can and let the ends stick a bit out beyond the line of your mouth. This mustache is a great choice for special occasions. It is a little thicker than usual which allows you to show off your trimming skills. Let the ends hang a little low and make sure the rest of the face is cleanly shaven. Pencil thin mustache has always been a hit because they require some work to be perfect. If you like one of these options, ask your barber to give you a master class. Once you get good at caring for your pencil mustache, you’ll be ready to conquer the world! Grow out your beard first. The hair on top of your lip can look a little thin at first. If you want to avoid some initial awkwardness, consider growing out all your facial hair first, and then trimming the rest of the beard off when the mustache is ready, or progressively trimming everything but your mustache to make the transition less abrupt.